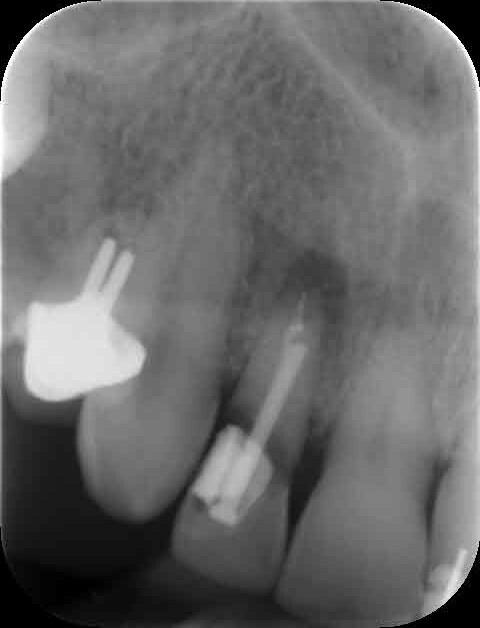 I am sharing a case which we completed recently in our clinic. 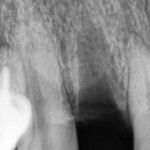 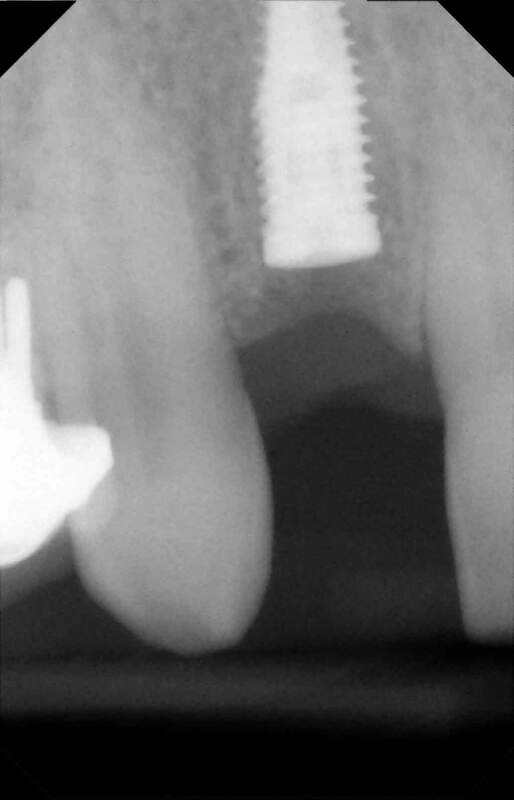 A patient came to see us complaining of a broken upper right lateral incisor crown. 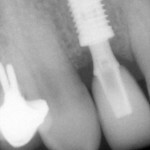 The tooth had been root treated before and restored with a post. 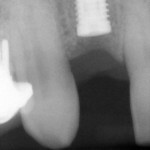 The tooth had become unstable and he noted that the gums were becoming more swollen and inflamed as a result. 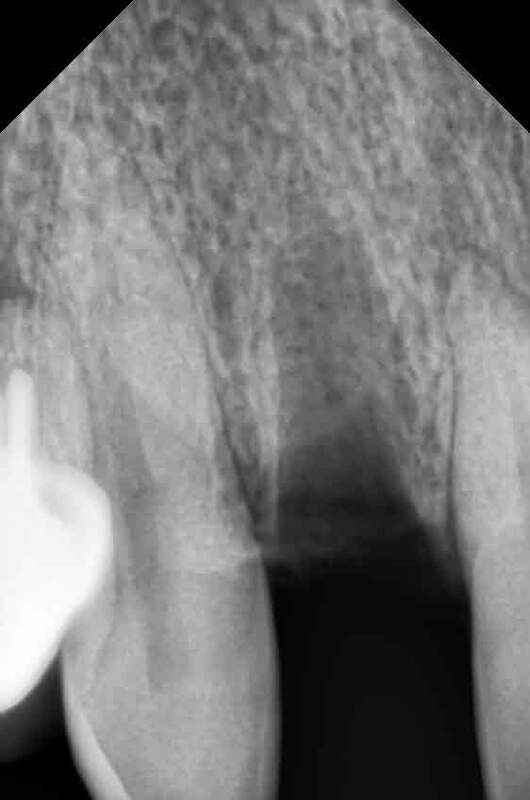 His dentist recommended that he come and see us for an opinion as to what could be done. 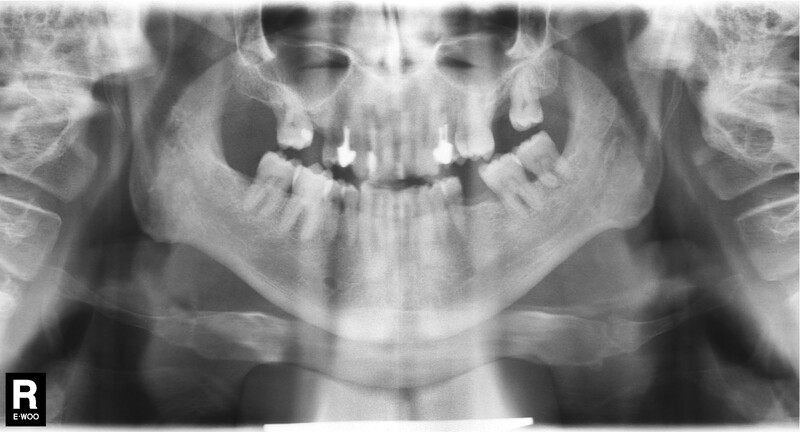 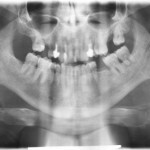 We completed a thorough examination taking photos, radiographs and models of the mouth. 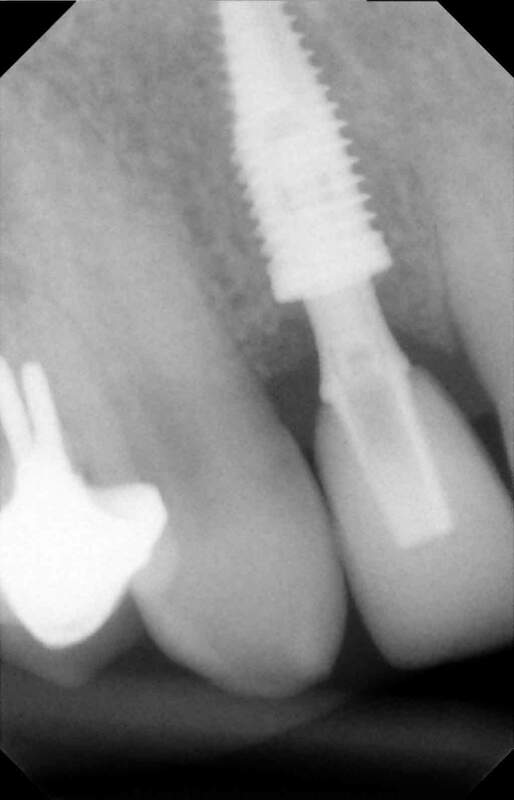 Four months after the tooth was removed the patient returned for implant surgery. 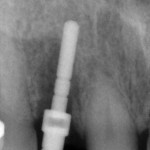 A CT scan was taken and the amount of bone available for implant placement was confirmed. 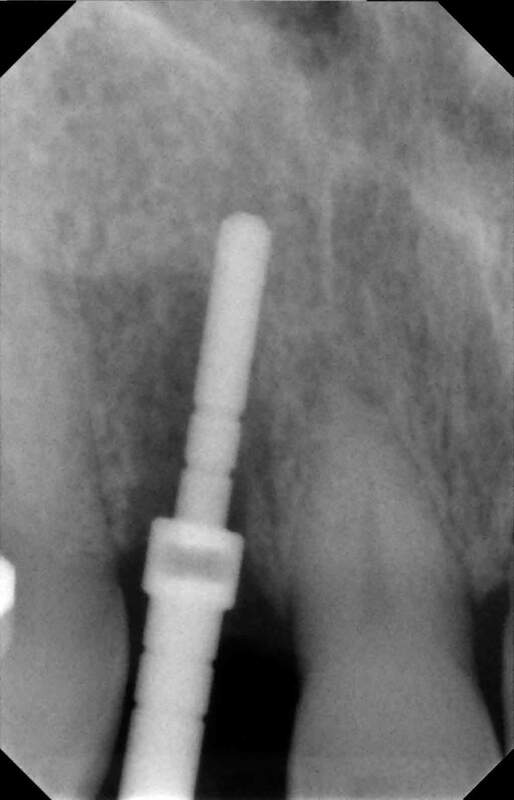 The implant was placed under local anesthetic. 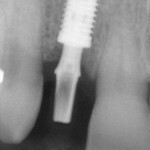 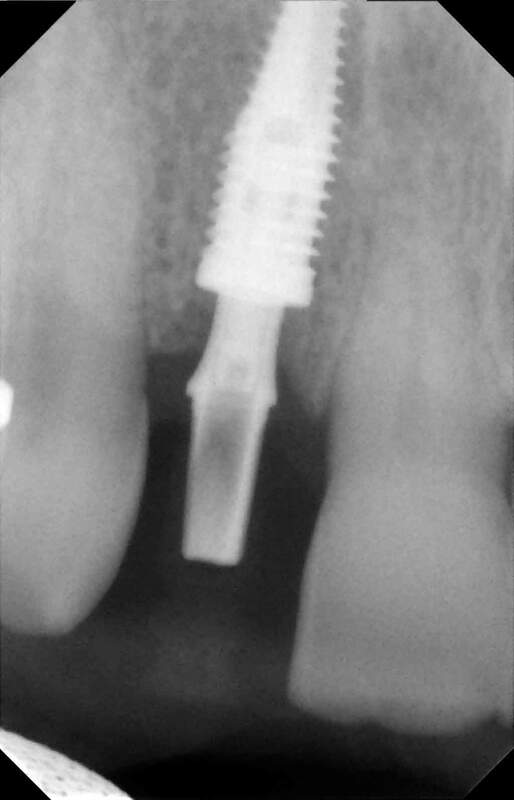 The implant was left buried under the gum tissues for 4 months to integrated with the patients own bone. 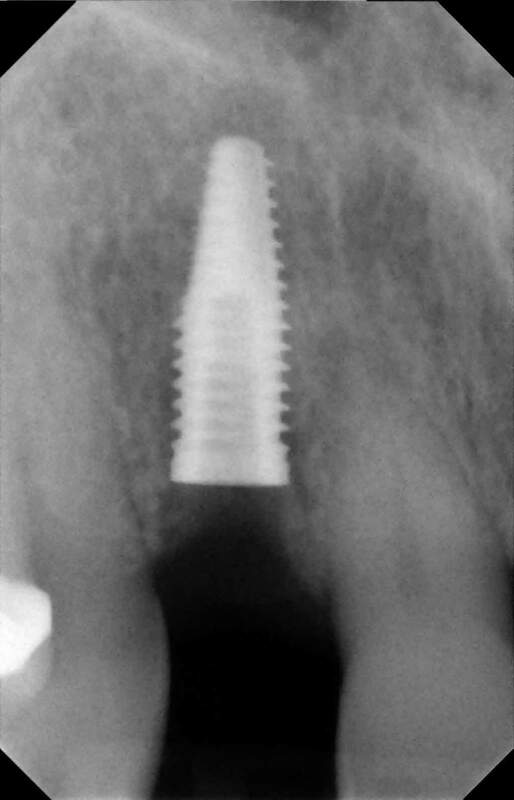 Four months after the implant surgery the patient returned for restoring the implant with a single tooth metal free implant crown. 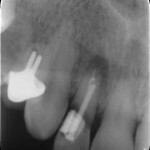 Here are the radiographs taken during the treatment. 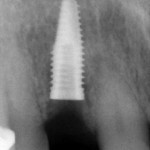 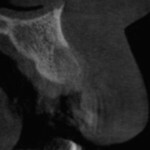 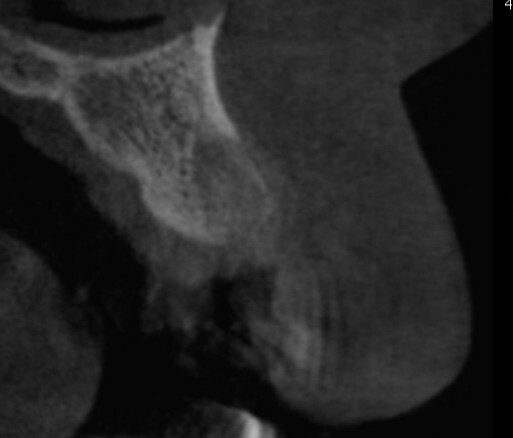 The implant is placed 2mm below the bone level for ideal bone healing.